Position location is an exciting area that will become pervasive as wireless moves up to millimeter wave and terahertz frequencies. The greater bandwidths provide enhanced time resolution which maps directly to physical distance, and the directive antenna arrays provide angle of arrival and departure information. NYU WIRELESS is developing fundamental knowledge and tools for implementing accurate position location that can become part of future wireless standards. See this lecture for the promise of THz and the new applications, including position location, and see this early paper that shows how machine learning and data fusion can provide accurate (sub meter) positioning accuracy with simple and real-time computing methods. Work is continuing with the use of ray tracing, as well as indoor, outdoor, and vehicle to vehicle (v2v) measurements and modeling. H. Merzic, M. Bogdanovic, D. Kappler, L. Righetti, and J. Bohg, “Leveraging Contact Forces for Learning to Grasp,” in 2019 IEEE International Conference on Robotics and Automation (ICRA), Montreal, 2019. J. Thomas, G. LOIANNO, K. Daniilidis and V. Kumar, “The Role of Vision in landing, Perching and Grasping for MAV”, SPIE conference, Baltimore, April 2016. T. Ozaslan, G. LOIANNO, J. Keller, C. J. Taylor, and V. Kumar, “Spatio-Temporally Smooth Local Mapping and State Estimation inside Generalized Cylinders with Micro Aerial Vehicles”, IEEE RA-L Robotics and Automation Letters, 2018 and IROS 2018. V. Wuest, G. LOIANNO, and V. Kumar, “Online Estimation of Geometric and Inertia Parameters for Multirotor Aerial Vehicles”, IEEE/ICRA International Conference on Robotics and Automation, 2019. J. Svacha, G. LOIANNO, and V. Kumar, “Inertial Yaw-Independent Velocity and Attitude Estimation for High Speed Quadrotor Flight”, IEEE RA-L Robotics and Automation Letters, 2019 and ICRA 2019. S. Aditya, H. S. Dhillon, A. F. Molisch, R. M. Buehrer and H. Behairy, “Characterizing the Impact of SNR Heterogeneity on Time-of-Arrival based Localization Outage Probability”, IEEE Trans. Wireless Comm, vol. 18, no. 1, Jan. 2019, pp. 637-649. S. Aditya, H. S. Dhillon, A. F. Molisch and H. Behairy, “A Tractable Analysis of the Blind-spot Probability of Localization Networks under Correlated Blocking”, IEEE Trans. Wireless Commun., vol. 17, no. 12, Dec. 2018, pp. 8150-8164. Hassan, S. Emad, et al. “A case study of mobile robot’s energy consumption and conservation techniques.” Security and Data Reliability in Cooperative Wireless Networks. Vol. 47. No. 10. Washington, DC, USA: Worth Publishers, 2018. 1-10. An-Ti Chiang, Qi Chen, Yao Wang and Mei R. Fu. “Kinect-Based In-Home Exercise System for Lymphatic Health and Lymphedema intervention“, IEEE Journal of Translational Engineering in Health and Medicine, 2018. J. Svacha, K. Mohta, G. LOIANNO, and V. Kumar, “Inertial Velocity Estimation for Quadrotors”, IEEE/RSJ Conference on Intelligent Robots and Systems, 2018. G. LOIANNO, Y. Mulgaonkar, C. Brunner, D. Ahuja, A. Ramanandan, M. Chari, S. Diaz, and V. Kumar, “Autonomous Flight and Cooperative Control for Reconstruction using Aerial Robots Powered by Smartphones”, The International Journal of Robotics Research, IJRR, 2018. L. Yuan, C. Reardon, G. Warnell, and G. LOIANNO, “Human Gaze-Driven Spatial Tasking of an Autonomous MAV”, IEEE RA-L Robotics and Automation Letters, 2019 and ICRA 2019. M. Al Borno, L. Righetti, M. J. Black, S. L. Delp, and E. Fiume, “Robust Physics-based Motion Retargeting with Realistic Body Shapes,” Computer Graphics Forum, vol. 37, no. 8, pp. 81–92, Jul. 2018. Talal Ahmad, Edwin Reed-Sanchez, Fatima Zarinni, Alfred Afutu, Kessir Adjaho, Yaw Nyarko and Lakshminarayanan Subramanian. GreenApps: A Platform For Cellular Edge Applications. First ACM SIGCAS Conference on Computing and Sustainable Societies (COMPASS2018). W. Liu, G. LOIANNO, K. Mohta, K. Daniilidis, and V. Kumar, “Semi-Dense Visual-Inertial Odometry and Mapping for Quadrotors with SWAP Constraints”, IEEE/ICRA International Conference on Robotics and Automation, 2018. G. Loianno, D. Thakur, W. Liu and V. Kumar, “Nuclear Environments Inspection with Micro Aerial Vehicles: Algorithms and Experiments”, International Symposium on Experimental Robotics, 2018. T. Baca, D. Hert , G. Loianno, V. Kumar and M. Saska, “Model Predictive Trajectory Tracking and Collision Avoidance for Reliable Outdoor Deployment of Unmanned Aerial Vehicles”, IEEE/RSJ Conference on Intelligent Robots and Systems, 2018. G. LOIANNO, D. Scaramuzza, and V. Kumar, “Special Issue on High-Speed Vision-Based Autonomous Navigation of UAVs”, Journal of Field Robotics, 2018. V. Spurny, T. Baca, M. Saska, R. Penicka , T. Krajnik, J. Thomas, D. Thakur, G. Loianno, and V. Kumar, “Cooperative Autonomous Search, Grasping and Delivering in a Treasure Hunt Scenario by a Team of UAVs”, Journal of Field Robotics, 2018. T. Baca, S. Petr, V. Spurny, D. Hert, R. Penicka, M. Saska, J. Thomas, D. Thakur, G. Loianno, and V. Kumar, “Autonomous Landing on a Moving Vehicle with an Unmanned Aerial Vehicle”, Journal of Field Robotics, 2018. G. LOIANNO, V. Spurny, T. Baca, J. Thomas, D. Thakur, T. Krajnik, A. Zhou, A. Cho, M. Saska, and V. Kumar, “Localization, Grasping, and Transportation of Magnetic Objects by a team of MAVs in Challenging Desert like Environments”, IEEE RA-L Robotics and Automation Letters and ICRA, 2018. A. Weinstein, A. Cho, G. LOIANNO, and V. Kumar, “VIO-Swarm: A Swarm of 250g Quadrotors”, IEEE RA-L Robotics and Automation Letters and ICRA, 2018. L. Righetti, Q. C. Pham, R. Madhavan, and R. Chatila, “Lethal Autonomous Weapon Systems [Ethical, Legal, and Societal Issues],” IEEE Robotics & Automation Magazine, vol. 25, no. 1, pp. 123–126, Mar. 2018. An-Ti Chiang, Qi Chen, Yao Wang and Mei R. Fu. Motion Sequence Alignment for a Kinect-Based In-Home Exercise System for Lymphatic Health and Lymphedema Intervention, 40th Annual International Conference of the IEEE Engineering in Medicine and Biology Society, 2018. Fanyi Duanmu, Yuwen He, Xiaoyu Xiu, Phillipe Hanhart, Yan Ye, and Yao Wang, Hybrid Cubemap Projection Format for 360-degree Video Coding, IEEE Data Compression Conference (DCC), Snowbird, Utah, 2018. Fanyi Duanmu, Yixiang Mao, Shuai Liu, Sumanth Srinivasan, and Yao Wang, A Subjective Study of Viewer Navigation Behaviors When Watching 360-degree Videos on Computers, IEEE International Conference on Multimedia Expo (ICME), San Diego, California, USA, 2018. Fanyi Duanmu, Yuwen He, Xiaoyu Xiu, Phillipe Hanhart, Yan Ye, and Yao Wang, “Content-Adaptive 360-degree Video Coding Using Hybrid Cubemap Projection,” IEEE Picture Coding Symposium (PCS), San Francisco, California, USA, 2018. E. Kurdoglu, Y. Liu, Y. Wang, “Perceptual Quality Maximization for Video Calls with Packet Losses by Optimizing FEC, Frame Rate and Quantization”, in IEEE Transactions on Multimedia, December 2017. A. Santamaria–Navarro, G. LOIANNO, J. Solà, V. Kumar, and J. Andrade–Cetto, “Autonomous Navigation of Micro Aerial Vehicles using Fast and Low-cost Sensors”, Autonomous Robots, 2017. M. Mezzavilla, M. Polese, A. Zanella, A. Dhananjay, S. Rangan, C. Kessler, T. S. Rappaport, M. Zorzi, “Public Safety Communications above 6 GHz: Research and Opportunities”, IEEE Access, November 14, 2017. G. LOIANNO and V. Kumar, “Cooperative Transportation using Small Quadrotors using Monocular Vision and Inertial Sensing”, IEEE RA-L Robotics and Automation Letters and ICRA, 2018. G. LOIANNO, C. Brunner, G Mcgrath, and V. Kumar, “Estimation, Control and Planning for Aggressive Flight with a Small Quadrotor with a Single Camera and IMU”, IEEE RA-L Robotics and Automation Letters and ICRA, 2017. Talal Ahmad (NYU) and Lakshminarayanan Subramanian (NYU), Virtual Cellular ISPs, 3rd Workshop on Experiences with the Design and Implementation of Smart Objects (Mobicom 2017). R.A. Shoureshi, J.R. Rizzo, and T.E. Hudson, “Smart Wearable Systems for Enhanced Monitoring and Mobility,” Advances in Science & Technology, vol. 100, 2017. T. S. Rappaport, “5G is About to Face a Reality Check,” Applied Wireless Technology, Volume 1, Issue 3, September 2017.
in the Proceedings of International Symposium on Circuits and Systems (ISCAS), May 2017. F. Duanmu, E. Kurdoglu, Amir Hosseini, Y. Liu, Y. Wang, “Prioritized Buffer Control in Two-tier 360 Video Streaming”, ACM SigComm Workshop on Virtual Reality and Augmented Reality Network, Los Angeles, California, USA, 2017. F. Duanmu, E. Kurdoglu, Y. Liu, Y. Wang, “View Direction and Bandwidth adaptive 360 Degree Video Streaming using a Two-Tier System:, International Symposium on Circuits and Systems (ISCAS), Baltimore, Maryland, USA, 2017. F. Duanmu, E. Kurdoglu, Amir Hosseini, Y. Liu, Y. Wang, “Buffer-Based 360 Video Streaming Using A Two-Tier System”, ACM SigComm Workshop on Virtual Reality and Augmented Reality Network, Los Angeles, California, USA, 2017. K. Mohta, S. Liu, M. Watterson, G. LOIANNO, and V. Kumar, “Estimation, Control and Planning for High Speed Flight with a Quadrotor using On–board Sensing” Journal of Field Robotics, 2017. T. Ozaslan, G. LOIANNO, J. Keller, C. J. Taylor, and V. Kumar, “Autonomous Navigation and Mapping for Inspections of Penstocks and Tunnels with MAVs”, IEEE RA-L Robotics and Automation Letters, 2017 and IROS 2017. J. Thomas, J. Welde, G. LOIANNO, K. Daniilidis, and V. Kumar, “Autonomous Flight for Detection, Localization, and Tracking of Moving Targets with a Small Quadrotor”, IEEE RA-L Robotics and Automation Letters, 2017 and IROS 2017. Shervin Minaee, Yao Wang, “Subspace Learning in The Presence of Sparse Structured Outliers and Noise,” IEEE International Symposium on Circuits and Systems, 2017. An-Ti Chiang, Qi Chen, Shijie Li, Yao Wang and Mei R. Fu. “Denoising of Joint Tracking Data by Kinect Sensors Using Clustered Gaussian Process Regression,” Proceedings of the 2nd International Workshop on Multimedia for Personal Health and Health Care. ACM, 2017. Jen-wei Kuo, Jonathan Mamou, Yao Wang, Emi Saegusa-Beecroft, Junji Machi, and Ernest J. Feleppa, Segmentation of 3D High-frequency Ultrasound Images of Human Lymph Nodes Using Graph Cut with Energy Functional Adapted to Local Intensity Distribution, Transactions on Ultrasonics Ferroelectrics and Frequency Control (TUFFC), 2017. J. Thomas, M. Pope, G. LOIANNO, E. W. Hawkes, M. A. Estrada, H. Jiang, M. R. Cutkosky, and V. Kumar, “Aggressive Flight for Perching on Inclined Surfaces”, Journal of Mechanisms and Robotics, 2016. M. Saska, T. Baca, V. Spurny, G. LOIANNO, J. Thomas, T. Krajnik, P. Stepan, and V. Kumar, “Vision-based high-speed autonomous landing and cooperative objects grasping – towards the MBZIRC competition”, IEEE/RSJ Conference on Intelligent Robots and Systems, Workshop High-Speed Autonomous Navigation of UAVs, 10-14 October 2016, Daejeon, South Korea. G. LOIANNO, Y. Mulgaonkar, C. Brunner, D. Ahuja, A. Ramanandan, M. Chari, S. Diaz, and V. Kumar, “A Swarm of Flying Smartphones”, IEEE/RSJ International Conference on Intelligent Robots and Systems, 10-14 October 2016, Daejeon, South Korea. G. LOIANNO, M. Watterson, and V. Kumar, “Visual Inertial Odometry for Quadrotors on SE(3)”, IEEE/ICRA International Conference on Robotics and Automation, Stockholm, 2016. A. Belenguer, G. LOIANNO, V. Kumar, and J. Civera, “Visual-Inertial Direct SLAM”, IEEE/ICRA International Conference on Robotics and Automation, Stockholm, 2016. G. LOIANNO and V. Kumar, “Vision-based Fast Navigation of Micro Aerial Vehicles”, SPIE conference, Baltimore, April 2016. S.A. Hosseini, Z. Lu, G.de Veciana, S. Panwar (2016). 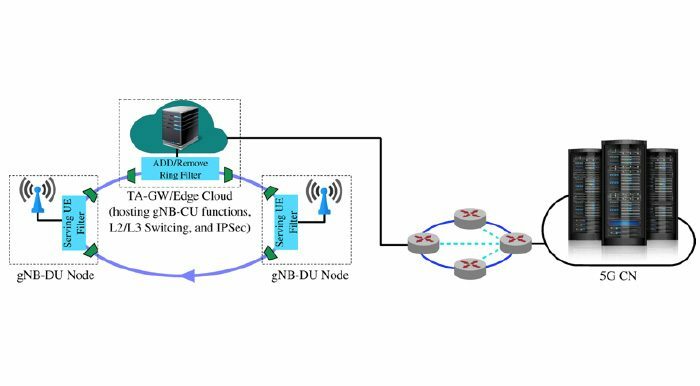 “SVC-Based Multi-User Streamloading for Wireless Networks”. 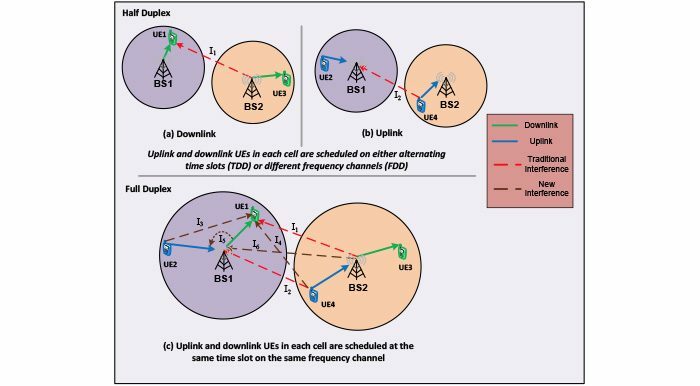 IEEE Journal on Selected Areas in Communications, 34(8), 2185-2197. T. Baca, G. LOIANNO, M. Saska, “Embedded Model Predictive Control of Unmanned Micro Aerial Vehicles”, IEEE 21st International Conference on Methods and Models in Automation and Robotics (MMAR), Miedzyzdroje, Poland, 2016. R. Tron, J. Thomas, G. LOIANNO, K. Daniilidis, and V. Kumar, “A Distributed Optimization Framework for Localization and Formation Control with Applications to Vision-Based Measurements”, IEEE Control Systems Magazine, 2016. R. Tron, J. Thomas, G. LOIANNO, K. Daniilidis, and V. Kumar, “Bearing-Only Formation Control with Auxiliary Distance Measurements, Leaders, and Collision Avoidance”, IEEE International Conference on Decision and Control 2016, Las Vegas, USA. M. Saska, V. Vonásek, J. Chudoba, J. Chudoba, J. Thomas, G. LOIANNO, and, V. Kumar, “Swarm Distribution and Deployment for Cooperative Surveillance by Micro-Aerial Vehicles”, Journal of Intelligent & Robotic Systems, 2016. M. Saska, T. Baca, J. Thomas, J. Chudoba, L. Preucil, T. Krajnik, J. Faigl, G. LOIANNO, and V. Kumar, “System for Stabilization of Micro Aerial Vehicle Swarms using onboard Visual Relative Localization”, Autonomous Robots, 2016. J. Thomas, G. LOIANNO, K. Daniilidis, and V. Kumar, “Visual Servoing of Quadrotors for Perching by Hanging from Cylindrical Objects”, IEEE RA-L Robotics and Automation Letters, January, 2016. E. Kurdoglu, Y. Liu, Y. Wang, “Dealing with User Heterogeneity in P2P Multi-party Video Conferencing: Layered Distribution vs. Partitioned Simulcast”, in IEEE Transactions on Multimedia, Volume 18, Number 1, Pages 90 –101, January 2016. G. LOIANNO, Y. Mulgaonkar, C. Brunner, D. Ahuja, A. Ramanandan, M. Chari, S. Diaz, and V. Kumar, “Smartphones Power Flying Robots”, IEEE/RSJ International Conference on Intelligent Robots and Systems, 28 September-2 October 2015, Hamburg, Germany. L. Alon, W. S. Slovinsky, G. Y. Cho, D. K. Sodickson, C. M. Collins, M. Ziskin, T. S. Rappaport, C. M. Deniz, “mmWave Exposure Assessment using Magnetic Resonance Thermal Imaging,” in Bioelectromagnetics Society Annual Meeting, Asilomar Conference Center, California, USA, PA-147, Jun. 2015. G. LOIANNO, G. Cross, C. Qu, Y. Mulgaonkar, J. A. Hesch, and V. Kumar, “Flying Smartphones: Automated Flight Enabled by Consumer Electronics”, IEEE Robotics and Automation Magazine, June 2015. G. LOIANNO, J. Thomas and V. Kumar, “Cooperative Localization and Mapping of MAVs using RGB-D Sensors”, IEEE/ICRA International Conference on Robotics and Automation, 26-30 May 2015, Seattle, USA. J. Thomas, G. LOIANNO, M. Pope, E. W. Hawkes, M. A. Estrada, H. Jiang, M. R. Cutkosky, and V. Kumar, “Planning and Control of Aggresive Maneuvers for Perching on Inclined and Vertical Surfaces”, International Design Engineering Technical Conferences & Computers and Information in Engineering Conference (IDETC/CIE), 2015. Yilin Song, Jonathan Viventi and Yao Wang, Seizure Prediction Through Clustering and Temporal Analysis of Micro Electrocorticographic Data, The IEEE Signal Processing in Medicine and Biology Symposium (SPMB), Philadelphia, Pennsylvania, 2015. L. Alon, G. Y. Cho, X. Yang, D. K. Sodickson, C. M. Deniz, “A method for safety testing of radiofrequency/microwave-emitting devices using MRI”,Magnetic Resonance in Medicine, Nov 2014. R. Tron, J. Thomas, G. LOIANNO, J. Polin, V. Kumar, and K. Daniilidis, “Vision-based Formation Control of Aerial Vehicles”, RSS Robotics Science and Systems, Distributed Control and Estimation for Robotic Vehicle Networks, Berkeley, USA, July 2014. J. Thomas, G. LOIANNO, J. Polin, K. Sreenath, and V. Kumar, “Toward autonomous avian-inspired grasping for micro aerial vehicles”, Bioinspiration and Biomimetics, vol. 9, no. 2, p. 025010, June 2014. J. Thomas, G. LOIANNO, K. Sreenath, and V. Kumar, “Toward Image Based Visual Servoing for Aerial Grasping and Perching”, IEEE/ICRA International Conference on Robotics and Automation, 31 May-7 June 2014, Hong Kong, China. J. Cacace, A. Finzi, V. Lippiello, G. LOIANNO, and D. Sanzone, “Aerial Service Vehicles for Industrial Inspection: Task Decomposition and Plan Execution”, Applied Intelligence, Springer, 2014. M. Saska, J. Chudoba, L. Precil, J. Thomas, G. LOIANNO, and V. Kumar, “Plume Tracking by a Self-Stabilized Group of Micro Aerial Vehicles”, Modelling and Simulation for Autonomous System Workshop, Rome, 2014. M. Saska, J. Chudoba, L. Precil, J. Thomas, G. LOIANNO, A. Tresnak, V. Vonasek, and V. Kumar, “Autonomous deployment of swarms of micro-aerial vehicles in cooperative surveillance”, International Conference on Unmanned Aircraft Systems (ICUAS), Orlando, USA, 2014. G. LOIANNO, V. Lippiello, and B. Siciliano, “Fast Localization and 3D Mapping using a RGB-D Sensor”, IEEE International Conference on Advanced Robotics, 25-29 November 2013, Montevideo, Uruguay. G. LOIANNO, J. Thomas, K. Mohta, S. Shen, K. Sreenath, and V. Kumar, “Vision based navigation, grasping and localization for micro aerial vehicles”, IEEE/RSJ Conference on Intelligent Robots and Systems, Workshop Vision-based Closed-Loop Control and Navigation of Micro Helicopters in GPS-denied Environments, 3-7 November 2013, Tokyo, Japan. G. LOIANNO, V. Lippiello, C. Fischione and B. Siciliano, “Visual and Inertial Multi-Rate Data Fusion for Motion Estimation via Pareto-Optimization”, IEEE/RSJ Conference on Intelligent Robots and Systems, 3-7 November 2013, Tokyo, Japan. J. Cacace, A. Finzi, V. Lippiello, G. LOIANNO, and D. Sanzone, “Integrated Planning and Execution for an Aerial Service Vehicle”, 23rd International Conference on Automated Planning and Scheduling, Workshop on Planning and Robotics, Rome, Italy, June 2013. A. Rath, S. Goyal, S. Panwar, “Streamloading: Low Cost High Quality Video Streaming for Mobile Users,” in ACM 5th Workshop on Mobile Video (MoVid ’13), Oslo, Norway, 27 February 2013. V. Lippiello, G. LOIANNO and B. Siciliano “MAV Indoor Navigation Based on a Closed-Form Solution for Absolute Scale Velocity Estimation Using Optical Flow and Inertial Data”, IEEE International conference on Decision and Control December 2011, Orlando, Florida.